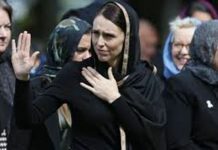 Christchurch, March 16 : A day after 49 people were killed in the horrific Christchurch mosques shootings, Prime Minister Jacinda Ardern on Saturday showed solidarity to the Muslim community, saying “this is not the New Zealand people know”. 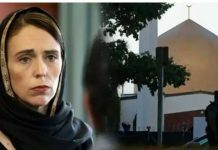 She made the remark during her 40-minute address at the Christchurch Canterbury Refugee Centre, where she delivered a message of unity to the country’s Islamic community, the worst affected by the bloody massacre of Friday, when gunmen opened fire at two mosques. “You were quick to mention this is not the New Zealand that you know. I want to reaffirm that today. 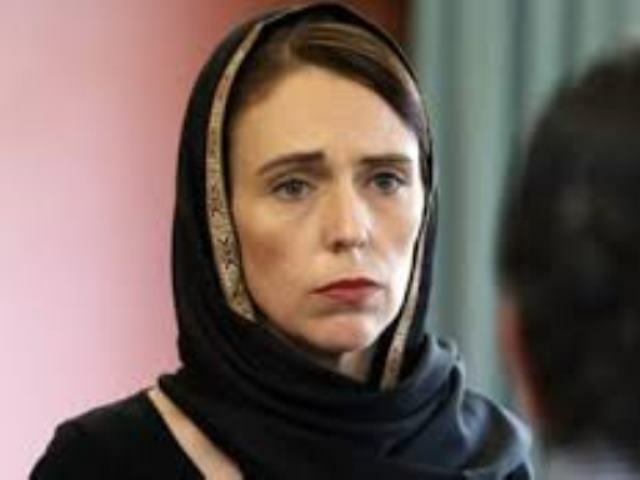 This is not New Zealand,” Arden, draped in a black salwar-kameez with dupatta covering her head, told the Muslim leaders and the media in attendance. “Bodies are still being removed from mosque. Emergency services are still removing bodies from the Deans Avenue mosque where 41 people were killed on Friday,” she said. The Prime Minister hoped that all the bodies would be cleared on Saturday. Ardern announced that families who lost their loved ones in the two shootings would be entitled to compensation. She said police security at mosques across New Zealand would continue until “it is deemed there is no longer a threat”. More charges would also be laid against the Australian accused of the Christchurch attacks. The 28-year-old faced court on Saturday morning and was charged with one count of murder. “It absolutely was his intention to continue with his attack,” she said at the Centre. Ardern has already announced that there will be changes to the country’s gun laws in the aftermath of the massacre, New Zealand Herald reported. According to TVNZ, Ardern visited the Centre with Deputy Prime Minister Winston Peters and opposition National Party leader Simon Bridges. New South Wales Premier Gladys Berejiklian announced the show of respect on her official Twitter account, saying it was a “symbol of solidarity, support and respect”. New Zealanders have been leaving tributes to the victims near the Christchurch Botanical gardens, close to the Al Noor mosque where 41 people died, The New Zealand Herald reported. Some have left flowers, while other have written on the pavement in coloured chalk. “From the depths of our hearts, we are sorry,” one message said. Friday’s killing was a terrorist attack that appeared orchestrated for the social media. The brutal shootings were previewed on an infamous Internet message board and then graphically live-streamed on Facebook.